The award winning POC Octal AVIP MIPS helmet is engineered to be the next step in road bike helmet safety. It includes MIPS technology to reduce the rotational forces to the brain as well as utilising attention grabbing AVIP colourways. The MIPS system incorporated in this Octal helmet provides additional protection against rotational forces - common forces found during a crash. This protection is achieved due to a separation of the shell and liner with a low friction layer - a slip plane. This separation allows the helmet to slide relative to the head thus increasing energy absorption upon impact. This is revolutionary in how helmets are designed to combat the forces of a rotational impact preventing high forces being transferred to the brain, thus helping prevent brain injury in a crash. Alongside the MIPS system you also get the usual Octal safety features. 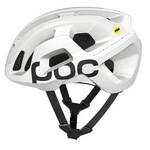 POC provide extra coverage and additional protection of the temples and back of the head. The EPS liner is also strategically thicker in the most exposed areas and is covered by the outer PC shell further improving it's safety performance. 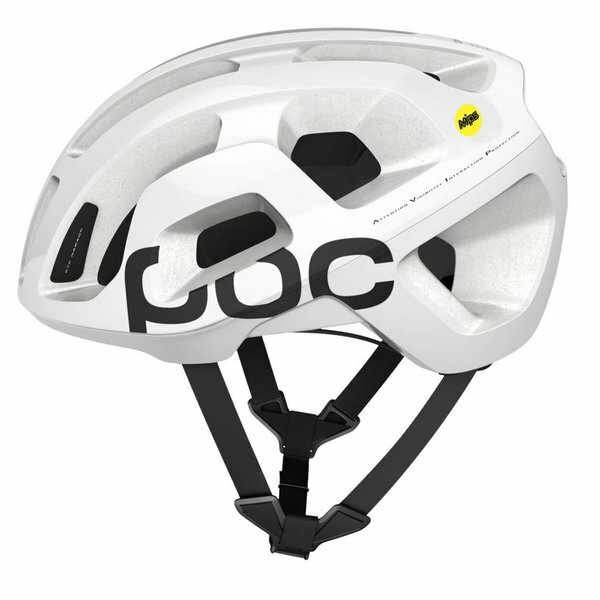 The unique and fully wrapping unibody shell construction functions as a monocoque and enhances the safety properties and construction integrity of the helmet. The result is a helmet that offers excellent protection but at the same time maintains its incredibly low weight. When it comes to ventilation POC have taken an innovative approach and instead of using many small vents, Octal has fewer, but larger, ventilation slots. This distinctive design provides a larger open surface area at the front, and in combination with the specifically designed interior, allows more air to flow through the helmet. In order to dial in your fit perfectly POC use an ultralight size adjustment system that ensures a comfortable feel and secure fit. To maintain a comfortable temperature the use of internal Coolbest padding helps reduce the temperature in the interface between the helmet and your head, perfect for hot weather riding. Since visibility is a key factor to road bike safety, Octal Aero comes in high visibility and high contrast AVIP colours which have proved to be highly visible, offering excellent contrast against background colours. This is further enhanced with reflective patches. AVIP is a vision and concept, which has been created by collaborating with some of the best minds in science, health and technology to redefine the future of road bike safety and performance. Products developed to support attention, visibility, interaction and protection - including the finest and most uncompromising cycling clothing, materials, making, accessories and functional details for efficacy, without sacrificing safety. ATTENTION- Is about achieving a simple, but crucial, objective and grabbing others attention to your presence. Attention uses the best possible tools to ensure a cyclist is recognised clearly, and in milli-seconds, by others in traffic through addressing the five senses independently or in combination. VISIBILITY- Optimising visibility in a number of different situations and scenarios, including season, weather, time of day, distance, environment and light conditions. Through scientifically understanding how, colour, material, contrast, patterns, motion and light interact it provides an insight to develop the best possible visibility and recognition on the road. INTERACTION- It is about researching the possibilities and opportunities for communication and technological interaction between a rider, motorists and pedestrians to support proactive safety. Interaction applies new ideas to what can be done with modern technology to allow a rider to worry less about other road users and surroundings and focus solely on riding. Interaction also supports communication with the outside world in post incidents situations where there is a need for rescue or emergency. 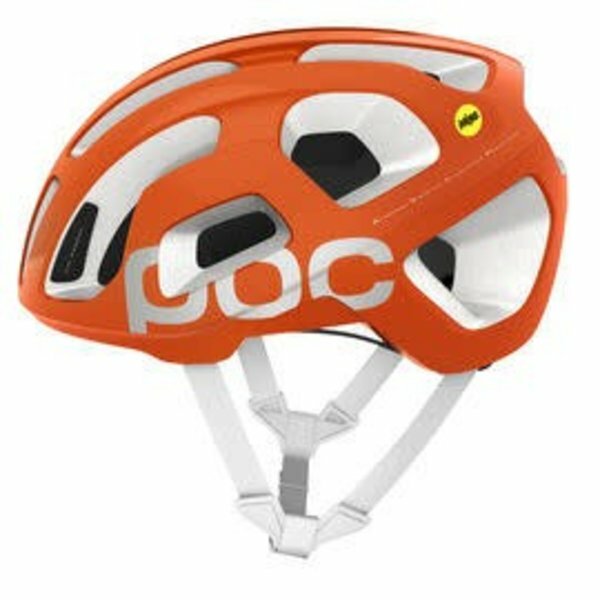 PROTECTION- The core of POC’s experience, understanding how to develop physical protection focuses on minimising the amount of energy being transmitted to the users brain and body. All engineered with innovative technology and a specific user and activity in mind, ultimately optimising protection without compromising performance. Through extensive research POC identified that visibility is not always simply a question of wearing more fluorescent clothing, but considering and understanding the use of colour and contrast and the environment in which it will be used. This approach led them to the AVIP colour palette, which is a cornerstone of AVIP. All colours in the AVIP colour palette have been evaluated and considered to provide optimal visibility and contrast in a road bike environment. Fluorescent orange is a strong and intense colour and is one of the most commonly used colours for high visibility clothing. The Optic White colour is innovative and part of the AVIP palette as it is diametrically opposed to many colours and supports enhanced contrast.